At Norbreck we value highly the importance of children’s mental health and well-being. Staff within our team help families and children through times of difficulty such as bereavement, separation and illness. We work in close partnership with specialist agencies and outside school support services. Our aim is to identify any concerns or issues at the earliest possible opportunity and remove any barriers to learning which may be preventing your child from reaching their full potential. We pride ourselves in building positive and supportive relationships with families and children. We always work hard to respond as quickly as possible to any issues and ensure that difficulties are discussed and resolved in the best possible way. What areas do we support? In school, we are able to support children with social, emotional and behavioural problems in a small group or 1-1 setting, carrying out carefully organised activities to meet their needs to overcome any barriers or obstacles in their learning. Who can refer to the Pastoral Team? For any child causing concern, referrals for support and intervention can be made by the Pastoral Team, classroom teachers, parents/ carers, support staff and the children themselves through a self- referral process. Our PSHE policy states that all children at some point within their schooling with us, might receive some form of support from the Pastoral Team. How do parents/ guardians contact the Pastoral Team at Norbreck Academy? The Pastoral Team is the responsibility of the Assistant Head Teacher who oversees all staff working in this context with children in our school. The first point of contact should be your child’s class teacher. They can be contacted through the main school’s telephone number on 01253 855219. PPLC is a support group for children who find, for whatever reason, longer periods of independent play time difficult. Children are invited to the club and participate in lots of exciting and fun activities. There will always be at least one friendly face of the Pastoral Team present. 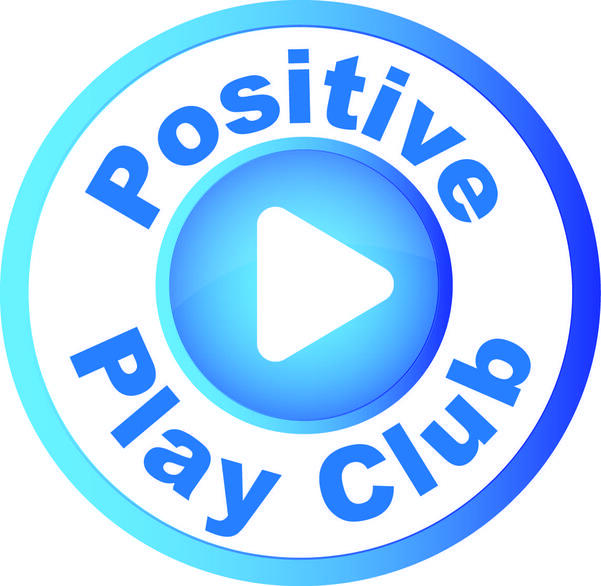 Each week children participate in discrete PSHE (Personal, Social, Health Education) lessons which is part of the National Curriculum for schools. It is a programme through which pupils develop the qualities, knowledge and understanding they need to flourish as individuals, family members and members of society at large. It aims to help them make informed decisions and boost their self-esteem. In addition, we provide opportunities for children’s, Spiritual, Moral, Social and Cultural awareness to be developed. We believe that this is crucial for children and it is crucial for society as a whole. We believe that it is the heart of what education is all about – helping children grow and develop as people. It is part of our day- to-day life in school and the core of everything that we do. If you have any questions or would like further information, please do not hesitate to get in contact with our team. CAMHS If you are worried about a child or need advice and support for coping with anything affecting your child's emotional or mental health, there are different ways to seek help. Young Minds YoungMinds offers free confidential online and telephone support to anyone worried about the emotional and mental wellbeing of a child or young person up to the age of 25. MindEd MindEd is an online e-portal offering free, simple advice to help adults identify, understand and support children and young people with mental health issues. The Wellbeing & Mental Health Helpline The Wellbeing & Mental Health Helpline is a freephone out of hours, person centred listening environment for people requiring emotional support in relation to their own mental health or that of someone they know. Boing Boing- Headstart Blackpool HeadStart is a multi-agency programme aiming to increase resilience in young people and improve mental well-being by building a resilience revolution across the whole of Blackpool. Blackpool Homestart Home-Start volunteers help families with young children deal with the challenges they face. We support parents as they learn to cope, improve their confidence and build better lives for their children. Blackpool BetterStart A Better Start aims to improve the life chances of babies and very young children by delivering a significant increase in the use of preventative approaches in pregnancy and first three years of life. Blackpool Family Information Service Blackpool Family Information Service provides free, impartial advice and information on childcare plus information about services for children, young people and their families. Blackpool Young Carers Blackpool Young Carers provides an extensive range of age specific services and support for carers from the age of 5 to 105 and their families, in order to fulfill thei purpose which is to make ‘A Better Life for Carers’. RELATE Support and guidance to help you make this difficult transition easier for you and your family. Children and Divorce Expert advice to help you support your children through divorce and separation and understand your legal rights for contact, residence and court applications. Introduction to hospitals for children Blackpool Victoria Hospital have launched a new website and created a video for children telling them what to expect when they visit hospital, to help put their minds at rest. Young patients and hospital workers put their heads together to develop their children’s hospital website that has plenty of easy to read information that is easy to access and is all in one place. Change for Life Great website full of useful information and excellent ideas for leading a healthier lifestyle. Headlice information Find out how to spot head lice, how to get rid of them and how they spread. NHS Bereavement advice Bereavement and young people. Advice and support to help you get through the loss of someone important to you. Horizon Alcohol, Drugs and Sexual Health Support. Free, confidential and non-judgemental support for all Blackpool residents. The Hub- Under 25s alcohol and drug service The hub offers - 1 to 1 treatment, support, •Advice and information for young people, parents, carers and professionals around drug and alcohol misuse. Referral is by self referral or can be made by a family member, friend, or professional.